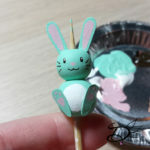 Almost easter and one last easter craft. Well I made it for easter this time around, but the base you can use all year round. 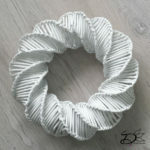 I always loved this technic, Paper Wicker. If you don’t know what that means, it’s a recycle craft, using old newspapers. Let’s make a wreath of old newspapers! ♥ A bunch of old newspapers. ♥ Something slim and round, like a skewer. 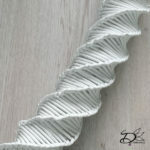 ♥ Anything to decorate, think of ribbon, easter bunny, eggs, etc. 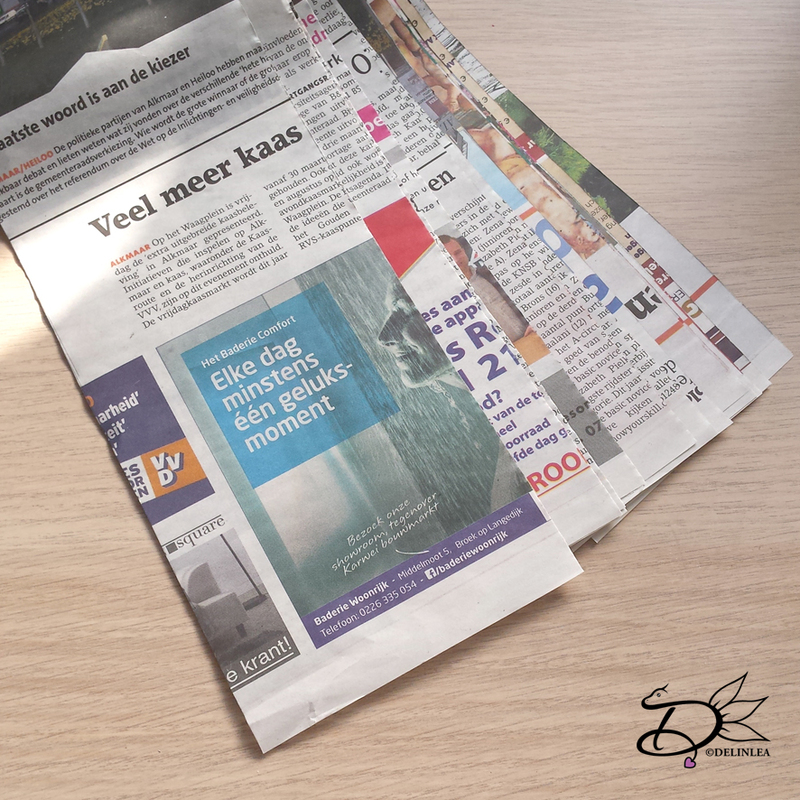 Start with the newspapers, Cut them in strokes with a width of about 10cm. It’s totally fine if they are wider of smaller. 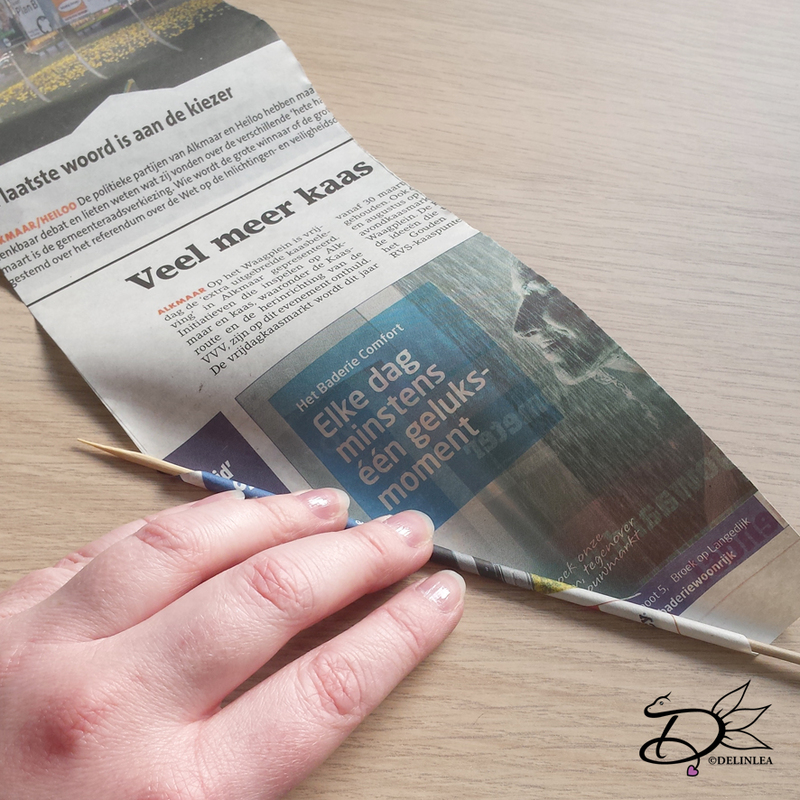 The length doesn’t matter, just take the length of the newspaper you have. Now take your skewer and start at one of the points of you newspaper strokes. 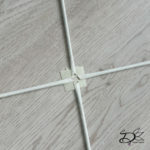 Roll them as tightly as you can and glue the point close with school glue. Let it dry for a bit and go on to the next one. You need a lot of these rolls, I ended up using about 100. The next step is optional, it really depends on which look you want your wreath to have. But paint all the newspaper rolls in the color you like. I used white acryllic paint and gave it about 2 coats of paint. let everything dry very well now before you move to the next step. (What I figured is that you maybe should skip painting at this point, and spray paint the finished wreath at the end. but I am not sure if that will work out). 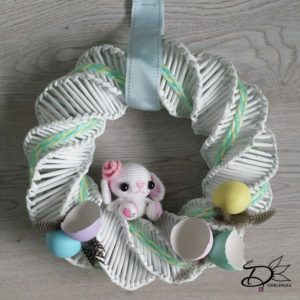 Now it’s time to actually make the wreath, take 4 rolls of newspaper and stick a roll of tape (so it’s double sided) on your floor or desk, wherever you have enough space. Make a cross like the picture below. Set something, a tube, in the middle of the cross, where the tape is, something round, I used my make up remover xD. 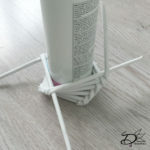 Add a 5th newspaper roll, glue the point under one of the rolls, and put the rest of the length over the next roll, along your tube in the middle, as shown in the picture. Let this one dry well before you continue. The roll you added last, the 5th you glued on, lays over one of the 4 you started with, fold the one under the 5th one, over the 5th along the tube. The next roll that lays under because you just folded one, fold that one over along the tube. So everytime you fold one over the other, it lays on another roll, the one that’s under you always fold over that one. keep on doing this until you have enough length to make the wreath. 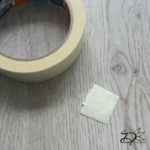 When a roll is finished, add a new one, you can slide them into each other with some glue and simple continue going. 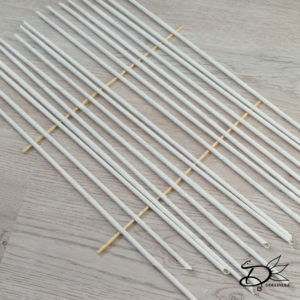 When you finished the lenghth you like, and you are able to make it round as a wreath, glue the ends on both sides, to the inside with some hot glue. 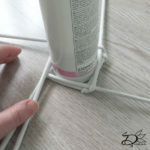 Now you can also glue both ends together with hot glue and hold for a bit. When the glue is set and you like the shape, you can go on to the fun part! Decorating time! You can decorate your wreath the way you like. I used some yarn and wrapped it around. Had a crochet bunny I made a long time ago, added that to the middle, and some eggshells and feathers to make the easter look complete. I kept it fairly simple, but you can make it as complicated as you like! I hope you enjoyed this DIY! I would love to see what you created! #DelinleaDIY. And if anything isn’t clear, comment below or send me an email, I’m happy to help you out! 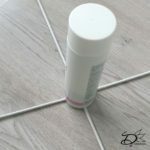 Time for a new DIY, are you ready?! 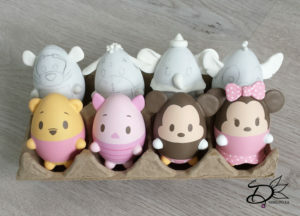 You know my love for Tsum Tsum’s by now, I believe, but I also love the Ufufy’s they are a bit different but have the same concept. 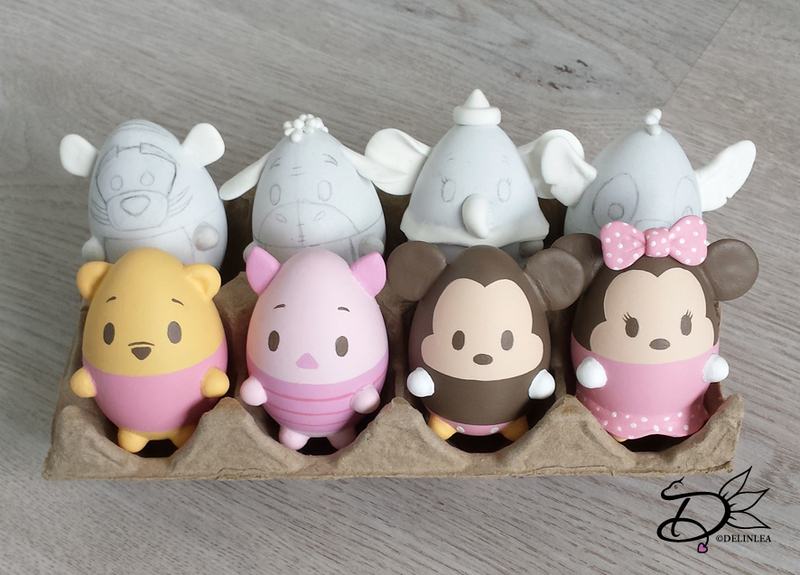 I love them since they used pastel colors for all the Disney characters. Which makes them appear even cuter. I had those fake eggs around for a while, and needed to use them badly! So why not making something fun with them. 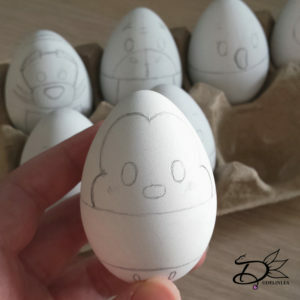 Let’s make Ufufy Easter Eggs! ♥ Fake Eggs or cleaned out Eggshells if you prefer. ♥ Light Air Dry Clay. To start, sketch out the design of the Disney character you like with a pencil, I made a few different ones, like Pooh Bear, Mickey, Stitch, Dumbo, etc. I started with sketching the line to ‘devide’ the head and the body, that way it makes it easier to know where all the other lines need to go. I sometimes used a flexible ruler to measure them out, so all head’s and body’s where about the same. 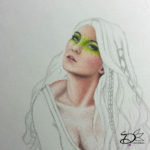 When you are done with all the sketching, continue to claying! This gives you the opportunity to bring them a bit more alive! I used clay to make the limbs, ears and eventually tails or other features. I used air dry clay because the eggs I used are of plastic, don’t ever bake plastic things, it’s not healthy (and they won’t survive anyway). So, don’t use baking clay. 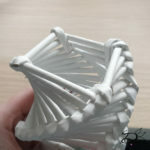 The easiest way to get even features is, for example, make 4 small even balls for the limbs. Shape them how you like and attach them to the body with some glue. 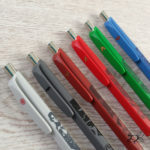 You can use a needle tool or pin to make them seemless, but that’s optional. 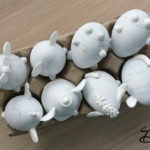 If you made all the features out of clay and attached them to the eggs, Let them dry comepletly. I let them dry over night, but it depends on what brand clay you used. Now it’s time to give these some color! I used basic acryllic paints. And since I don’t own pastel colors I mixed all the colors myself, it’s not that hard. 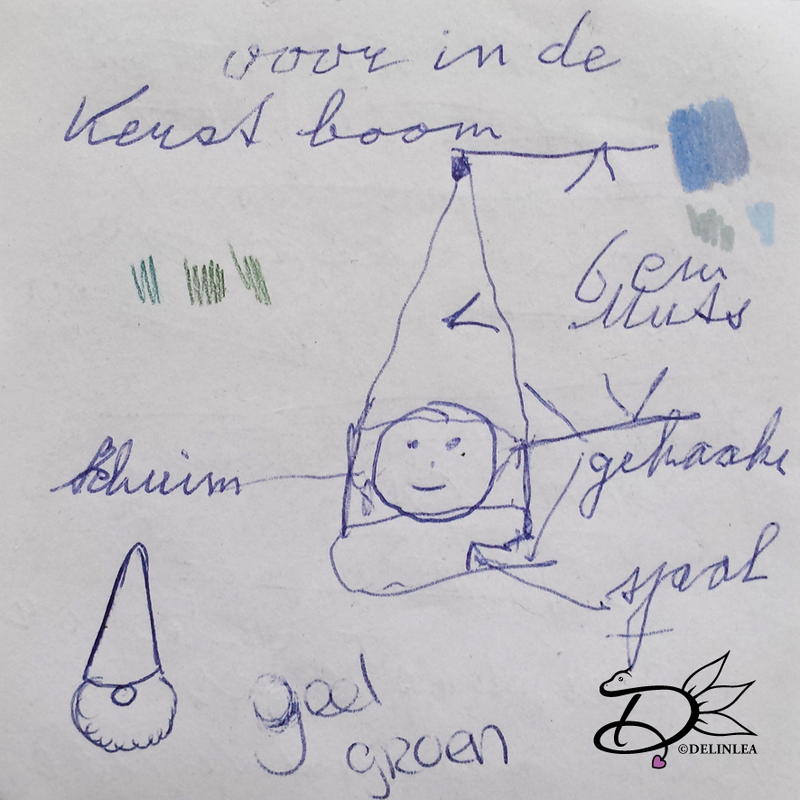 Use references of the Ufufy characters you created to make the right color and paint the areas with a brush. I had to do about 2/3 layers of paint, depending on the color. And ofcourse don’t forget to paint their eyes and noses! I used brown paint for these. Try to avoid the use of black paint, this will make them look appear a bit harsh against the soft pastel tones. You can choose at this point, after finishing painting, to give them a coat of varnish. I haven’t done that yet, since I ran out of time xD. Just like I haven’t finished all of the Ufufy’s I planned to make. I will update my blog post when I did finish them all. 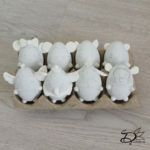 I hope you like this idea of Ufufy easter eggs. 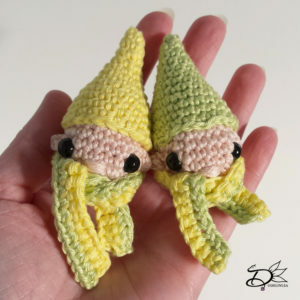 Let’s make a whole army of them, right?! Don’t forget to show them with #DelinleaDIY or tag me on Twitter or Instagram. Easter is approaching faster as we think! So I thought why not make some decoration already?! 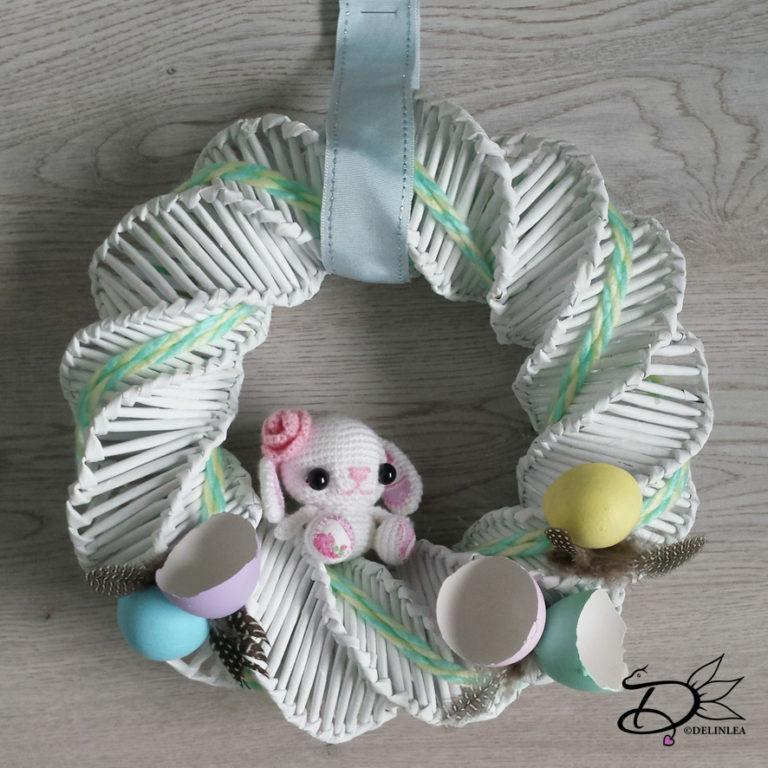 We all know the easter branches we bring in our homes and decorate them with the cutest things. 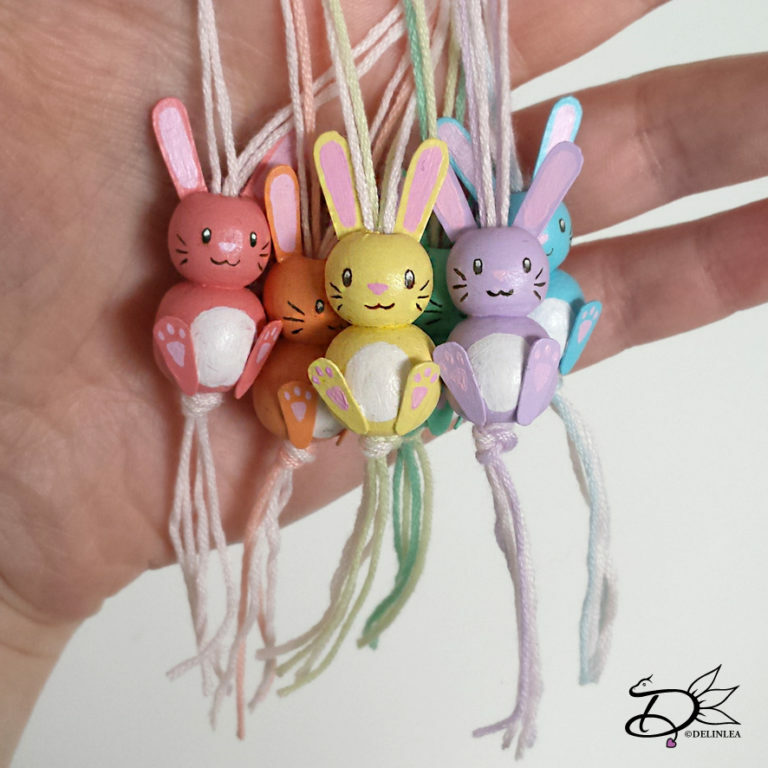 Today, I wanna make some Easter bunnies of wooden beads. 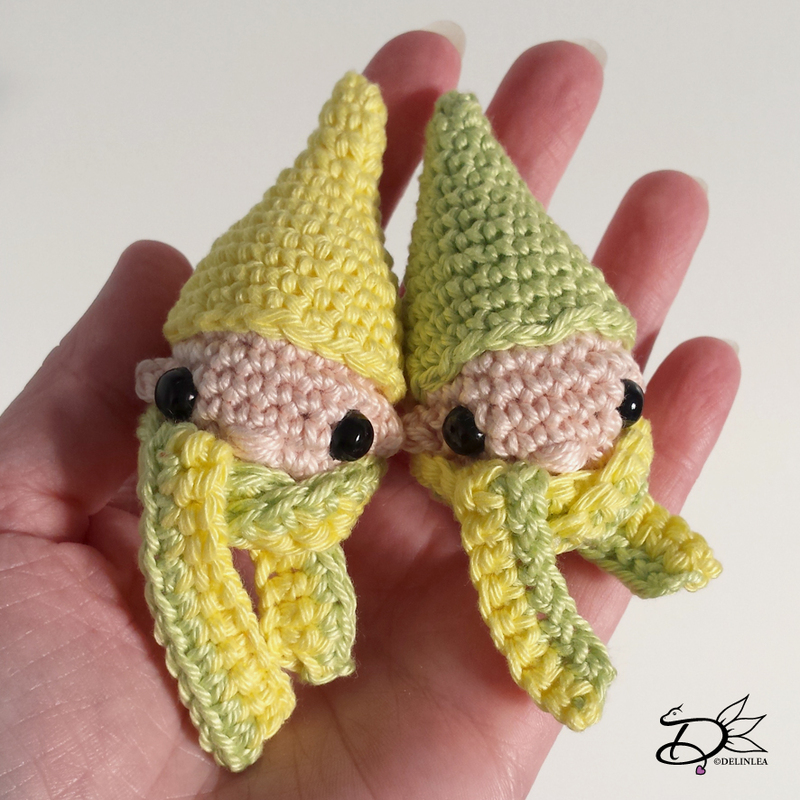 I love how they turned out so why not show you how to make them too. 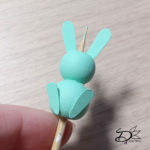 ♥ Air Dry Clay or a small Bead for the tail. ♥ Cardstock in any color. ♥ Acryllic Paint in the colors you like. 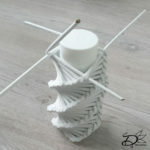 ♥ Embroidery Floss or Yarn. 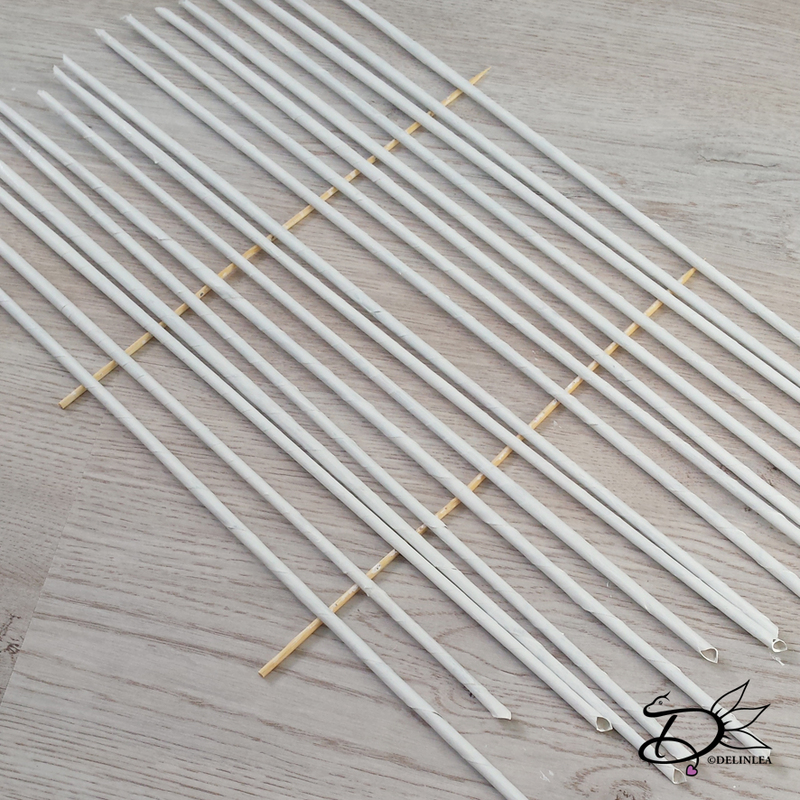 Glue the large bead to the small bead, make sure the holes line up and let that dry. This will be the body. 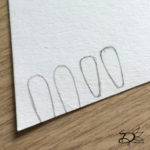 While that’s drying, draw on the cardstock some ear and foot shapes and cut those out. Glue the ears and foot to the body and let those dry as well. 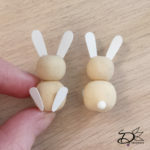 Out of clay, make a small ball, this will be the tail, you can also use a small bead if you have those. Glue the tail to the back of the body. When everything is dry. You can start painting! I used pastel tones, I think that fits the whole spring/easter feel best. But ofcourse you can do whatever color you would like. 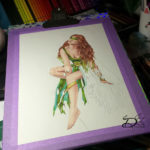 Just paint the whole body in one color first, and later on you’ll paint on the details. 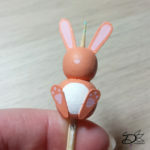 It depends on the quality of you paint if the base color of the body need several layers or just one. Keep going until you are happy with the outcome. Now it is time to paint the details. 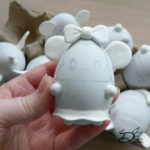 With white acryl, paint on a round belly shape in between the feet. And don’t forget to make the tail white as well. 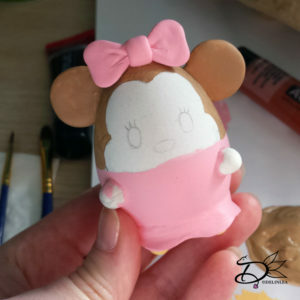 Mix some light pink paint and use this to color the inside of the ears and a paw print on the foot. Oh! and don’t forget his adorable tiny nose. 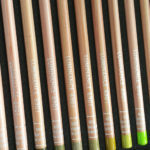 Now use some brown or black acryl to paint on the face with a tiny brush. If you want add a small dot of white paint in the eye, to give it that little sparkle. 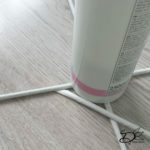 You can use varnish (matt or gloss) to give it that finishing touch and protect the paint, but that’s optional. Make sure everything is completly dry when you go to the next and final step. 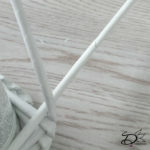 Cut 2 pieces of yarn with a length of 30cm. 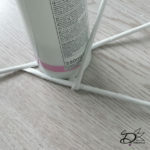 Fold those in half and make a knot about 5 cm from the loose ends. With help of a Needle, put the folded side of the yarn through the bottom to the top of the bunny and you are done! So, somewhere at the end of last year, my grandpa asked me if I could make something for him and handed me a scribble at a small piece of paper. I was like, ‘what’s this’. I was a bit confused but stated how I should make it.. sorta xD. 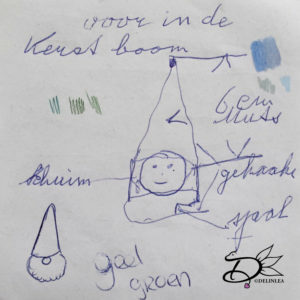 It’s supposed to be a Gnome head/face. Well, okay, I will try to make something out of it. I only need to know what colors he wanted. He said Yellow and Green. Not sure why he wanted those colors. Not something I would choose, but hé, it’s his party! So after having the scribble for a while, I should finally make it, and give it to him. (I had a bunch of other stuff that had priority, so my grandpa had to wait). And when I finished them I loved them more as I thought I would. 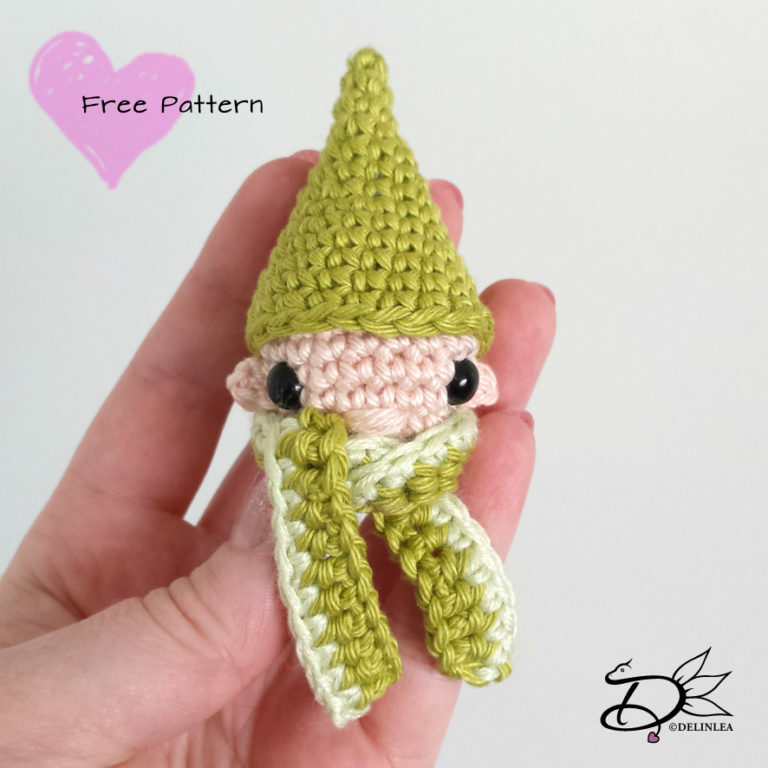 So, I thought why not share the pattern with you all! Are you ready?! So I made the versions of the hat. By accident. I just didn’t count right. To be honest I like my mistake more as the ‘good’ one haha. So I thought why not give both. 10: (1SC, dec), 6 times. Stuff the head lightly. Note: in between row 5 and 6 you wanna add the safety eyes. Chain2, insert in 2nd chain from hook, 1SC. Fasten off and leave long tail for sewing. Put the head inside the hat, and sew them together. Form the scarf the way you like and sew it to the head as well. Add the ears to both sides of the face and you are done! isn’t it cute?! I hope you enjoyed making this one! Have a lovely day all! Back in November last year(!) 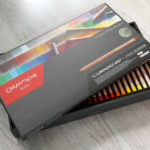 (that feels ages ago already) Caran D’Ache announced on their instagram that they will hold a contest. And the theme was Super Heroes! Well.. to be honest, I am not really into super heroes. So the struggle started. As they said to create your own super hero, I got excited! Because.. now I could create a drawing that’s close to myself instead of drawing an already excisting super hero, that I don’t really like. Caran D’Ache created this contest to celebrate the new super hero movie, Justice League. They made some ballpoint pens in order to celebrate. 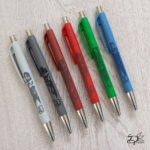 This was what you could win, a full set of Justice League ballpoint pens. And an additional prize will be chosen by one of the 3 CDArtists. So it depended on by who you got chosen as a winner in order to know what the exact prize would be. 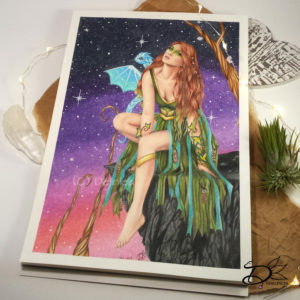 And as Heather Rooney, a CDArtist, (You should totally check her out!) was one of the judges.. I decided to join. I’ll tell you later why. So the contest was announced nov 3rd, and the deadline was nov 17th. Pretty tight deadline, how to get a full colored drawing done in such a small amount of time, in the like busiest time of the year! I didn’t even had an idea yet of what to draw! aaaa! the frustration was real, I wanted to join so badly but ideas were lacking. So, I asked my brother and sister for some advice, since they do love super heroes. 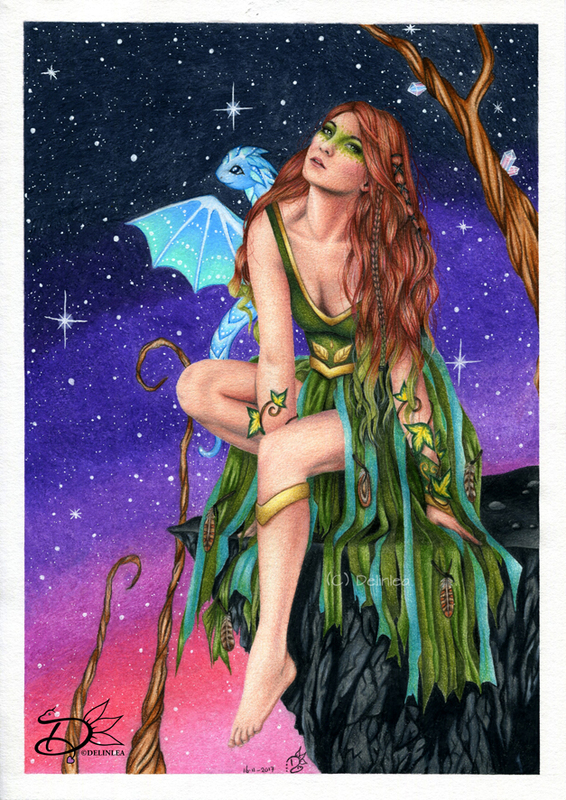 And my brother said ‘you should look up Poison Ivy, but you could use dragons as well in your drawing’. Actually I could do anything, as long as I made up a story. Well, I looked up Poison Ivy and that gave me finally some ideas after days of thinking of the subject. I searched for some hours for the right reference I wanted to use. (This is the stock photo I used) I always have an idea of the pose I wanna use, but to find that pose in a picture within seconds. That never happened. I lost more time, but I could finally start after the struggle of coming up with an idea. The Stock photo I used. I believe I drew the whole drawing within a week. The last day I worked on it.. I pushed through to get it done. Since the next day I had to go to the dentist and that was also deadline day. Well I could tell you, I was so happy I pushed through and got it done before the dentist. Cause when I came back from there, I felt so sick (I’m horrible with anesthesia), I wouldn’t have been able to finish it if I didn’t finished it the night before. I got it up on Instagram, since that was the way to enter. And now the waiting started. There wasn’t a date set for the announcement, so, Yeah wait till there was activity somewhere haha. On nov 25th the first 3 winners were announced by Heather! And YES I WAS ONE OF THEM! I was so excited! I couldn’t believe it! There were so many good entries! But I was in her top 3. Altough it wasn’t clear if I won something, I thought only the number 1 had won, and I was stated as second. A lot confusion over there. I tried to ask what I won, but nobody replied, until after the weekend. They changed the post and stated all 3 will get a full set of Justice League ballpoint pens and a box of Luminance 6901 colored pencils! YAY! That’s where I did it for! 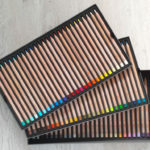 Those pencils.. they are just amazing! But so expensive, I only own 3 at that moment. After all winners were be announced, 9 in total, Caran D’Ache contacted us privately (about a week past again) and asking us for our address. I gave it and they replied that it could be that we would recieve the goods at the end of December cause of busiest time of the year. All shipping was slow. Time went by, I waited and waited, but still no package. In the mean time the year ended and new year started and still nothing. In the end I wrote them again, to tell them I still hadn’t reveived my things. And they didn’t reply.. I could see they saw my notice, but nothing back. Now I got really scared.. lost hope that I will ever get what I won. More time went by.. It was the end of January and someone rang the door, my mom opened and I thought it would be a package for my sister. But my mom said it was for me.. I was clueless cause I didn’t expect anything, right?! 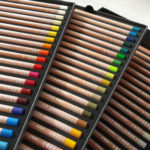 Then I saw the logo of Caran D’Ache on the package and I got so excited! I couldn’t believe it was finally here! I lost all hope but it is actually here! I immediatly started opening the huge box (it was bigger then expected). And I couldn’t believe my eyes! 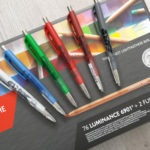 IT WAS A FULL SET OF LUMINANCE 9601 COLORED PENCILS and 6 Justice Leagea ballpoint pens. 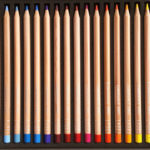 I knew I would get these pens and pencils but I thought I would get a set of 12 Luminance colored pencils haha. It was never stated we would get a full set! Beyond amazing! Here are some drooling pictures of the box and pens! I haven’t tried the pencils yet, no time haha. But I hope to find some time soon to try them.. wait.. I wanna do a portrait with them, but who to draw?! *sigh the struggle is real.. every. time. But, I guess, that’s part of the creative process xD. I will let you know when I got the chance to try them!